The spread of raves in France led to a number of controversies during the years 1990-2000. Two phases can be distinguished: a first in which raves were denied their status as aesthetic phenomena, and a second characterized by the identification of electronic dance-music as an accepted artistic practice, but one in which the political modalities surrounding the organizing of raves, especially free-parties, caused conflict. 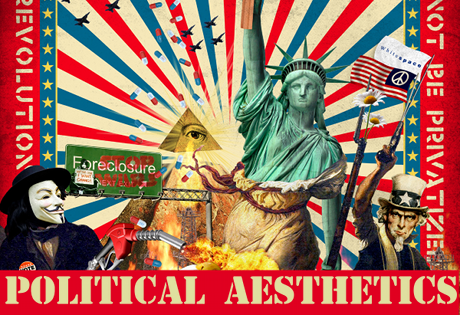 Based on interpretation of these events but also on the comments and actions of those involved in both phases, two types of aesthetic politics can be identified in raves and techno music. Let’s begin by outlining the context for the evolution of techno in France. In France raves remained marginal until the first half of the 1990s; unlike in the United Kingdom where they first emerged in the end of 1980s, or northern Europe where they quickly became a popular phenomenon. A useful indicator of the increasing presence of raves on French soil was the dissemination of a circular letter to all the prefectures in France, entitled “Raves: high-risk situations”. In this document, written by France’s internal intelligence services and anti-drug squads, raves were defined as situations whose primary purpose was the sale and consumption of drugs. The purpose of the letter was clear: since raves were dangerous in terms of public health and crime, it was necessary to prevent them from taking place by all means possible. The first step was to inform local political and administrative actors about their true “nature”, since otherwise they might grant permission to their prospective organizers. Public opinon followed this trend and the press soon helped to spread a criminal image of these events. If raves were not readily recognizable as a legitimate form of musical encounter, the electronic dance music played in them also appeared questionable to public opinion. Firstly because the music is produced and played with machines, it was considered inauthentic compared to rock and pop music, still the point of reference for popular musical taste at that time. Secondly, in the context of popular music and its prevailing form - the song - this music devoid of speech, was perceived as both meaningless and worthless. From this point of view French rap appeared less destabilizing, to the extent that it was identified as having the social function of bearing witness or of revolt. Relative to rock concerts, the spatial form of raves was also a change: the spectacular representation disappears while the emphasis is put on sound diffusion and dance. The centre of gravity of this event is not the stage - but the reception area, the dance floor. In addition to the security issues linked to drug use, the identifiable aesthetics of raves and their electronic music were at stake, because its unfamiliarity also helped to legitimize repression. Faced with this situation, one part of the techno movement chose invisibility. Using flyers and progressively benefiting from the introduction of mobile phones, organisers were able to coordinate and organise raves in secret locations, escaping the police who were too slow to locate them and prevent their taking place. But another part of the movement founded an association to lobby politicians and media. The idea was to seek the support of influential actors in order to have techno recognized as a legitimate cultural form. The stand-off lasted until 1998-99, when a change of government instituted a policy more sensitive to lobbying by the economic and cultural actors of the movement. At the same time, public perception of raves and electronic music became less simplistic and their various distinguishing features became better understood as they became more recognisable. This was followed by a policy change. The new rules stipulated that raves should be considered as a cultural form as legitimate as a rock concert, on condition that the organizers complied with administrative procedures, notifying the authorities before events. The theory of neo-tribalism, developed by Michel Maffesoli, became the dominant reference point for the interpretation of raves in France in the 90s. In this perspective, raves are first and foremost a social space, a space of trance and fusion of the collective body through techno music; music as a vehicle of the restored community. To say it in few words, raves produce a restoration of social ties. This approach to raves has correspondences with the thinking of some contemporary art critics like Nicolas Bourriaud who saw techno culture as an example of relational aesthetics. This concept brings together a set of works in the field of contemporary art of the 1990s and 2000 and stipulates that relational art is a post-utopian art: rather than preparing the future, its horizon is "the sphere of human interactions and its social context." For relational aesthetics, intersubjectivity "is not only the social context of the reception of art", it becomes "the essence of artistic practice.” Art is "centered on the production of modes of conviviality" that complement the modern project of emancipation. Furthermore, a set of Bourriaud’s publications situated the DJ as the key figure in raves illustrating new modalities in contemporary artistic practice. For this approach, the DJ becomes, "an ideal agent of the general hybridization that corrodes the old categories of culture, including the binaries around which circle the problems of modern art: producer versus consumer; curators versus critics; proposition versus participation. " To see how these French analyses of the rave phenomenon fit into contemporary discussions around the political dimension in art, we turn to the work of Jacques Rancière, for whom, "art is not political first and foremost due to the messages and the feelings it transmits about the world order." Art is rather politics, "through the type of time and space that it establishes, by the way it cuts up that time, and by the way it fills up that space. " From this point of view, the aesthetic politics of techno parties can be identified in the changed relationship between producers and consumers in the space instituted by the techno event. The public acquires a new centrality, while the DJ becomes a kind of operator or mediator. The length of the party itself is different from established forms of gathering such as a concert, with a temporality in excess of the daily schedule and therefore potentially in conflict with it. However, it is important to note that under the current capitalist economy, this phenomenon does not violate any norm. Indeed, it fits very well into this economic environment. Secondly, how does the function of the recreation of social ties in techno parties differ from other social interactions like those taking place on the field of sports? Is it really so different? Eric Alliez, writing in 2008, showed how relational aesthetics, inspired by the happenings and artistic movements of the 60s and 70s which sought radical political and artistic change, nevertheless emptied them of their critical force. Instead, relational art promoted an ethic of intersubjectivity, a community ethic which sought not to change the world so much as to better inhabit it. For Jacques Rancière, this ethical turn, which can be found in much contemporary artwork, promotes an art of consensus that precisely removes its political dimension, because, in his view, politics begins with dissent. Politics here is not defined as a discussion around the means for organizing good government; politics is understood to be a rupture with this discussion and its attendant set of organizations. From this perspective, we identify the emergence of politics as the moment when the French state attempted, under the guise of regulation, to ban free events and undeclared techno parties, known as free-parties. Free-parties were at one time regarded as a direct outcome of the raves prohibition policy adopted by the French government in the mid 90s. Accordingly, one might have expected these free-parties to have disappeared gradually with the implementation of a new public policy in the late 1990s. The new policy was explicitly designed to encourage the professionalization of actors, organizers and musicians. And yet, the evolution of free parties led to the development of a massive movement of amateur musicians and performers acting outside the legal and professional framework. In this sense, the rise of this movement in the late 90s is a total refutation of the premise underlying public cultural policy goals. A first attempt of the French state to regulate the situation, initiated in 2001, faced protests from actors and supporters of free-parties, and sparked a debate on a national scale. But a law severely restricting such events was nevertheless adopted in May 2002. This did not end the conflict with the movement who argued that it was undergoing an illegitimate ban. Protests and sometimes strike actions transformed free techno-parties into political meetings and this in turn forced the state to reopen negotiations between its Ministry of Interior, at that time headed by Nicolas Sarkozy, and key figures of the movement, to try to reach a compromise. This led in 2003 to the authorization for the sound-systems to organize several teknivals (techno festivals) per year in collaboration with the State. But this compromise proved fragile and a low-intensity conflict has continued ever since. So what can Rancière’s concepts tell us about the politics of these developments in the movement? It is clear that techno amateurs were not content just to dance and participate in raves organised for them by professionals; on the contrary, in this context, they took over the ways to organize parties and make music together. Interestingly, the roles of dancers and DJs became interchangeable at this point, drawing a kind of parallel with the reciprocity between DJs and their publics, dancers and organizers. All the participants now became responsible for the smooth running of the event. From this perspective, the aesthetic politics of free parties lies in the implementation of another distribution of positions and spaces, different from the one we have identified as a formation of consensus. Dissent is at the centre of the rise of the free parties movement, which in the words of Rancière, actualizes “the contingency of equality.” The free parties established a new division of space and capacity granted to everyone, contesting the a priori distribution of positions and abilities normally attached to these position; a conquest of time and space beyond what was usually conceded. Less positively it should be noted that the principles of this aesthetic politics of underground techno parties were practiced and promoted only by the most committed members. As a result, the movement has faced a series of problem that have undermined its credibility and its will to autonomy. The principle of the openness of parties led to the influx of participants attracted by media images of raves, but with little awareness of the way they worked. These ‘gate-crashers’ tended to confuse free, in the sense of freedom, with free in the sense of free of charge in a way that weakened party-organising, so that it proved unable to cope with the adverse impacts on the environment caused by cars, waste, etc... Furthermore, the movement was gradually infiltrated by organized drug crime. The horizontal dimension of the movement, characterized by the refusal to have leaders and representative bodies also received a dent. While this lent flexibility and efficiency to the organization, if any structure was resisted, it made it impossible to deal with the above problems. To conclude, we should consider the sub-political dimension of music and its power of affective mobilisation beyond any political agenda. As Steve Goodman (2010) complained, “the politics of music has often been reduced to ‘what is said’: its meaning, or the way it was supposed to represent an exterior political reality”. But a more basic power of music vibration is usually overlooked. Music possesses a subpolitical power of music capable of attracting populations, which is central in such products of sound-system culture as dub, techno and more. This subpolitics must not be neglected because it is the aesthetic dimension that can bring about affective mobilization rather than relying on ideology or belief, and so providing, in the words of Goodman, a “vibrational platform for communities”. This is something that these studies have observed from the outset - the ability of raves to bring together people from very different horizons. This tension between the subpolitical and affective dimension of music and aesthetic politics is what we need to explore to continue this work. Eric Alliez, “Capitalism and Schizophrenia and Consensus: On Relational Aesthetics”, Verksted, n° 9, 2008. Thomas Bolmain, « De la critique du “procès sans sujet” au concept de subjectivation politique. Notes sur le foucaldisme de Jacques Rancière », dissensus, n°3, 2010. Nicolas Bourriaud, Esthétique relationnelle. Dijon : Presses du réel, 2001. Steve Goodman, Sonic Warfare. Sound, affect and the ecology of fear. MIT Press, 2010. Michel Maffesoli, « l’interprétation des raves. Entretien avec Nicolas Bourriaud et Philippe Nassif », art press, hors série n° 19, 1998. Jacques Rancière, La mésentente. Paris : Galilée, 1995. ---. Le partage du sensible : esthétique et politique. Paris : La Fabrique, 2000. ---. Malaise dans l'esthétique. Paris : Galilée, 2004. ---. Le spectateur émancipé. Paris : La Fabrique, 2008.